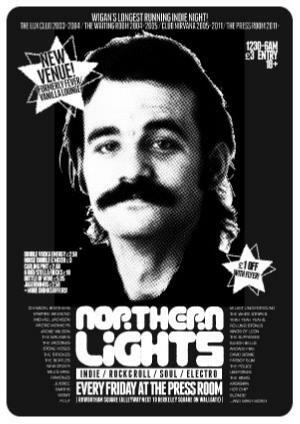 After more than 6 years at Club Nirvana, Northern Lights is now moving on to pastures new. The club night began in 2003 at the Lux Club on Millgate, moved to Club Nirvana in 2005 after a year in between at the Waiting Room. As of Friday 14th October, Northern Lights will find itself in the new surroundings of The Press Room on Rowbottom Square. The Press Room (formerly Vanilla Lounge/Fever) is a brand new refurbished venue, much different from the dirty seedy days of Fever! Now knocked through into one large room, the venue has a great intimate vibe to it, harking back to the days of the Lux. The launch night at the Press Room is this Friday and price is still at a bargain £3. Doors open at 12.30 and we will now run until the extended time of 6.00. Drinks offers include double vodka energy £2.50, Jagerbombs £2.50, bottle of wine £5.95, 6 bottles of Stella/Bud/Becks £10 and much more. Hope to see you all down there!